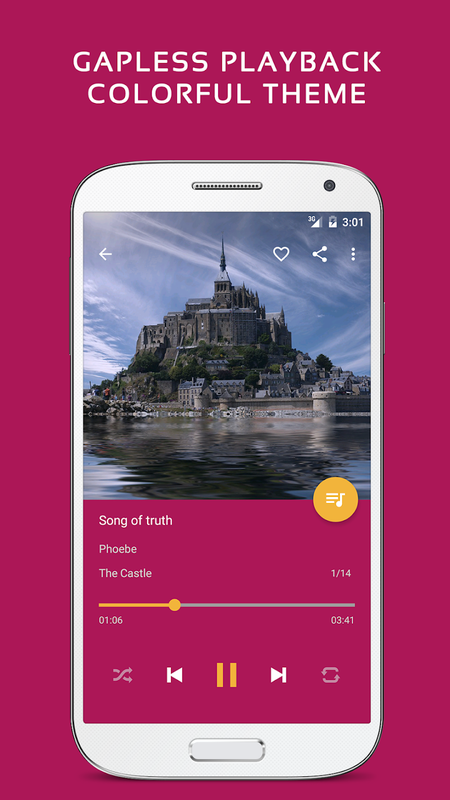 + Gorgeous user interface and animation with material design. 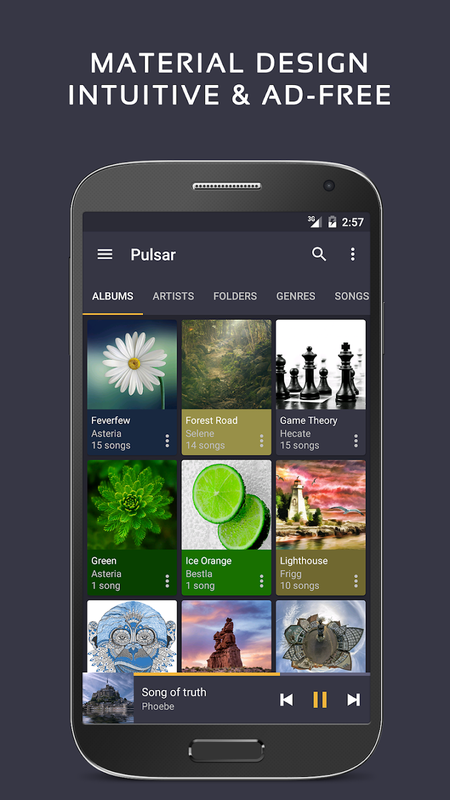 + Manage and play music by album, artist, folder, and genre. + Smart playlists with most played, recently played, and newly added tracks. 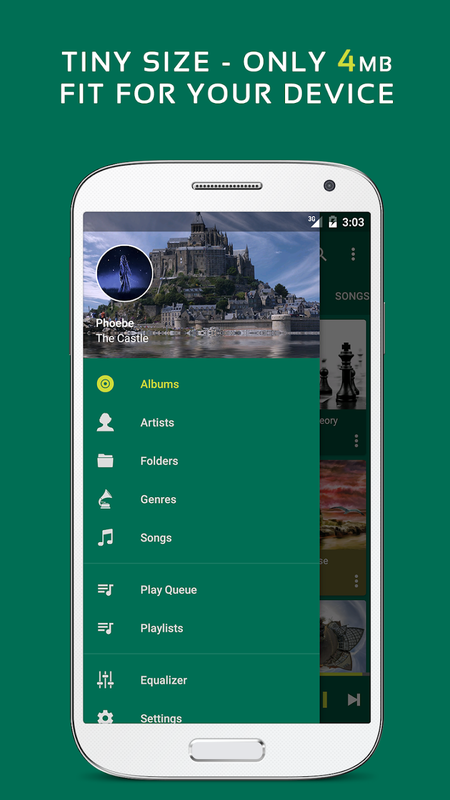 + Automatic sync missing album/artist images. + Fast search across albums, artists, and songs. + Resizable home screen widget. + Replay gain volume normalization. + Built-in metadata tag editor (mp3 and more). + Display lyrics (embedded and lrc file). + Chromecast (Google Cast) support. + Google voice commands support. + Disable car auto play on Bluetooth.